Hardly a day goes by that we don’t hear about new CAD tools and features that engineers want to use with the parts and components from their most favored manufacturers. Most manufacturers rely on a website and phone number to handle these inquiries for new data, but putting the onus on customers runs the risk of losing them. 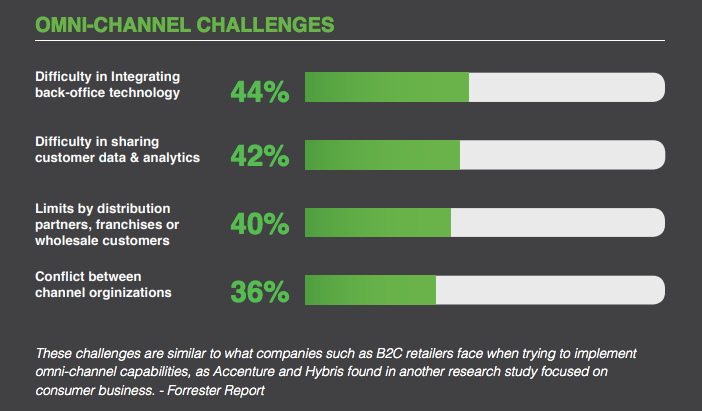 According to Forrester Research, rich omni-channel experiences deliver several competitive advantages for B2B businesses — especially those with complex products. We’ve identified five things all OEMs and industrial manufacturers must know in order to generate more leads, satisfy customers and increase sales. Manufacturing continues to grow more complex, and a 100-word product description isn’t going to cut it when customers want to know if your product is the right fit for their immediate need. Engineers want detailed CAD models, 2D drawings, eCatalogs, and more on their own time and schedule. Your website is a good place to start, but you know that your dynamic eCatalog is what helps customers the most — and it needs to be available to your distributors, as well. Delivering this with a mix of 3D CAD models and 2D drawings means engineers have access to the rich product information they need. This positive digital customer experience helps your customers easily discover and commit your products to their projects, making your company the company to do business with. B2C customers can find rich product details on Amazon, search a Macy’s sale before arriving at any store, and grab a complete user manual for that beefy 3.5-horsepower blender. They expect instant, detailed information — and if a company doesn’t provide it to them, they’ll find a company that does. B2B buyers are the same way. Because the barriers have dropped and data flows freely across multiple channels (mobile, desktop, e-mail, etc. ), your customer isn’t going to accept a B2B experience that doesn’t support their design and specification needs. The biggest challenge B2B sellers face is the content creation and management platform to facilitate this omni-channel offering. Complex products, multiple file formats, and custom data structures at every distributor all increase the challenge of bringing a rich digital experience to customers. The burden rests on the manufacturer to make all of this technical data available wherever the customer expects to find products. In a recent research study that surveyed senior representatives of distributors across 3 major industrial markets, distributors reported that manufacturers frequently misinterpret the product data templates they create, resulting in a large amount of manual reformatting. The respondents also reported that the manual labor involved chasing missing product information costs significant time and money. All agreed that delivering quality information to end users can build brand loyalty by saving customers time and money. When your products are missing important data, they become invisible in the database. This results in missed opportunities not just for new leads, but also for new orders. Manufacturers that meet the strict requirements of their distributors and other sales channels like AmazonBusiness, see their products positioned higher in search rankings. Strong content is also the key to effective search engine optimization — the higher the content quality, the higher your products are ranked above your competitors and the more positive the digital experience is for your audience. Content Management systems like Thomas’ Navigator platform also deliver on-page optimization elements and meta-tagging to assure your products rank high with Google. 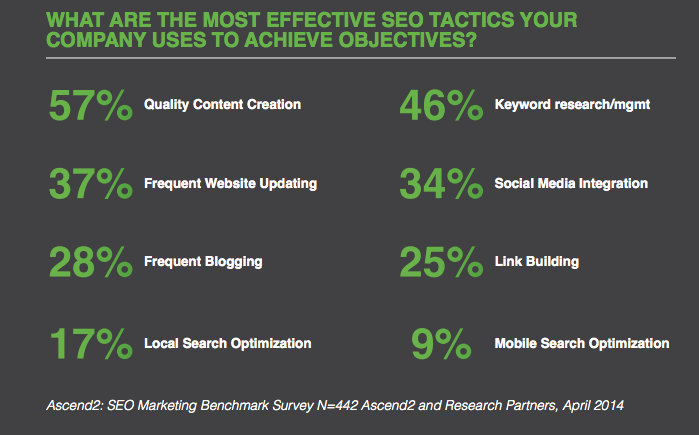 According to research, these three tactics — quality content, keyword management, and frequent website updates — make the three most effective SEO tactics for your company. Creating one format for one audience is not enough. Your customers want an intricate understanding of your offerings — they’ll push, play, discover, and download if you make it easy. 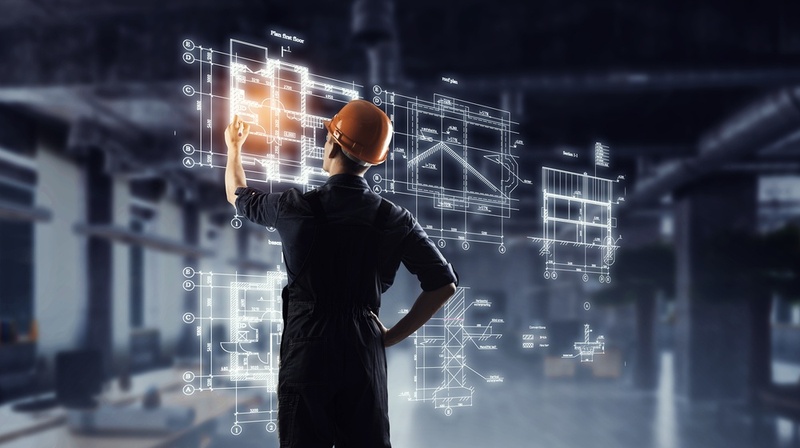 For manufacturers, data sheets, white papers, and specs are useful — but CAD and BIM data has the highest rate of page views, form submissions and downloads. The chart below shows stats from a real manufacturer that provides white papers, catalogs, and certification downloads on its website. It also provides access to CAD and BIM files. 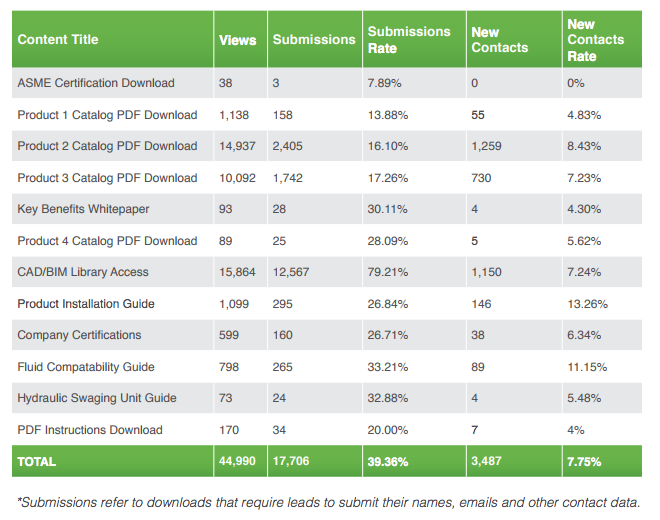 As you can see, submissions for the CAD/BIM library greatly outnumber any other type of marketing offering. This company has gained over 12,500 potential opportunities by providing this rich data to their audience. It has become critical for B2B manufacturers to make a concerted effort to create a rich product information database in order to compete in this digital world. 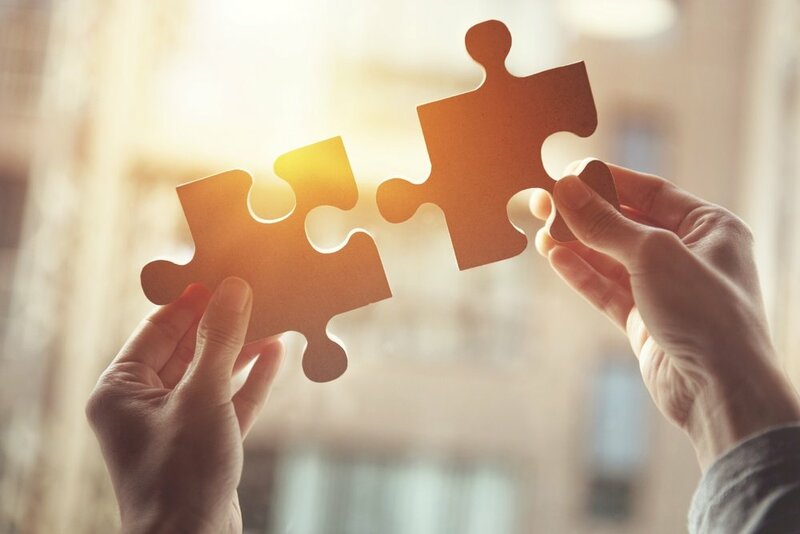 Different industries require different information and formats making it critical for manufacturers to understand the unique needs of each audience they serve. 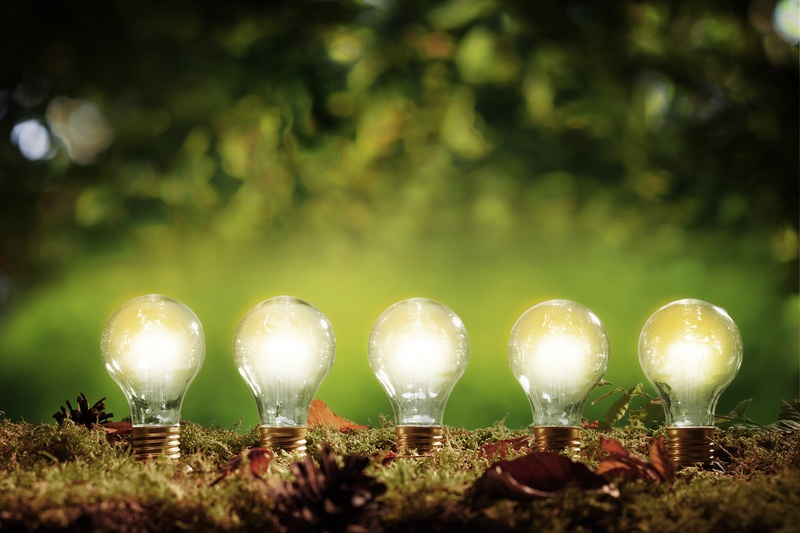 Creating a master product data repository which can deliver multiple formats, languages and structures is becoming the only way to meet the needs of customers across multiple markets. It’s critical for industrial companies to provide the exact data and information their prospects need to get specified and stay specified. In the commercial building industry for instance, a Revit BIM model file is mandatory for Architects and Engineers but of little value to fabricators and contractors who use tools like CADmep or TrimbleMEP. Understanding how your customers select and specify your products, and in which tools, is key to generating leads and avoiding any missed opportunities. Content Management technology like Thomas’ Navigator platform gives you the tools you need to consolidate your product information and deliver a positive digital customer experience to all of your audiences - get specified, stay specified, drive leads and increase sales. As you’ve learned in your business, saving customers time is the same as saving them money — and speeding up their access to information also accelerates their decision-making process. Above all, that builds loyalty. Leveraging this rich data also improves your relationships with existing customers and partners, and puts your products in prime positions across distributor channels and Google search results. For more information about how you can turn your data into an asset, contact us today.